Modern luxury apartment in central location. Sleeps 4. 10 minutes stroll from Princes Street. Short walk to Royal Botanical Gardens. 100 metres from bus routes. 2 bedrooms (1 twin & 1 double), 2 bathrooms. Lounge with TV, DVD, VCR, telephone. Ideal for business, theatre breaks or holidays. Very convenient city centre location. 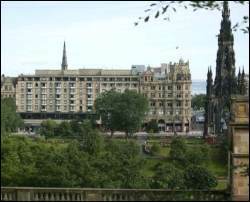 The hotel overlooks Princes Street Gardens and across to Edinburgh Castle. 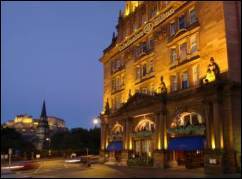 Only 300 metres from Edinburgh Waverley train station. 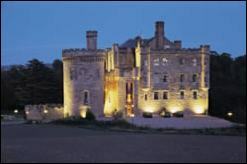 Superior rooms overlook the castle. 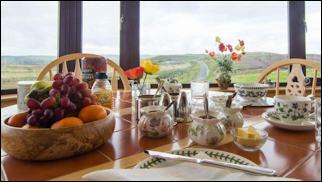 B&B from £45 per person. Princes Dining Rooms and Bar with fabulous views of the city. 24 hour room service. Disabled access. at the end of Princes Street overlooking the famous Castle. Many with views of the Castle. 24 hour room service. Babysitting service. Bar with 250 whiskies and bar meals. Large lounge overlooking the castle and churches. Adjacent American style cocktail bar and grill. 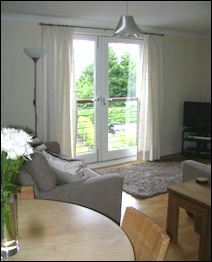 Room only from £100 per person. 2 minutes drive from the airport. Complimentary 24 hour courtesy shuttle service. Within easy reach of the city centre. 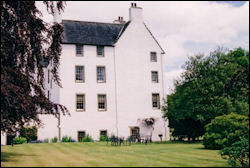 Airport Hotel of the Year in The Scottish Hotel Awards 2010. 7.5 miles from Edinburgh city centre. Indoor swimming pool, sauna and fitness centre. High speed Internet access, etc. 22 meeting rooms.